Understanding that Florida courts favor a shared parenting arrangement in most situations, there are times when a child’s interests are best served by one parent maintaining full custody. In these cases, the Fort Lauderdale law offices of Sandra Bonfiglio, P.A. can simultaneously advocate your position and work to protect the well being of your child. Contact our experienced Fort Lauderdale child custody attorneys today. In Florida, full custody, or sole custody, is called sole parental responsibility. It is when one parent is able to make decisions regarding the child without input from the other parent. This includes minor decisions that need to be made on a day-to-day basis, such as the child’s bedtime, as well as all major decisions, such as the child’s school, medical care and religious upbringing. In these cases, the judge will make arrangements for time-sharing (visitation) that best protects the child or abused spouse from further harm, which means that the final child custody order may not allow for any time-sharing. Contact our Fort Lauderdale child custody attorney for more information. If a court decides to order time-sharing for a parent who committed violence, the parent with sole parental responsibility can ask that the visits be supervised or very limited. The judge may agree to restricted visits if it is necessary to protect the child’s safety or the parent’s safety. If, however, the judge does not believe that the child or parent remains at risk from the other parent, the judge may order unsupervised time-sharing. In Florida, both parents have the right to access records and information relating to their child, such as medical, dental and school records. This includes the right to talk to the child’s doctor or teacher, as well as looking at the written records. Even when a parent has sole parental responsibility, the only way to keep the other parent from being able to access those records is if a judge specifically denies the parent that right as part of a court order. 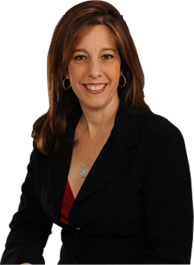 If you need knowledgeable legal advice in a Fort Lauderdale child custody dispute, contact Sandra Bonfiglio, P.A. to schedule a consultation. We serve clients in Fort Lauderdale, Boca Raton and throughout southeast Florida.